John Frederick Kensett – The Davis Museum at Wellesley College 1977.37. 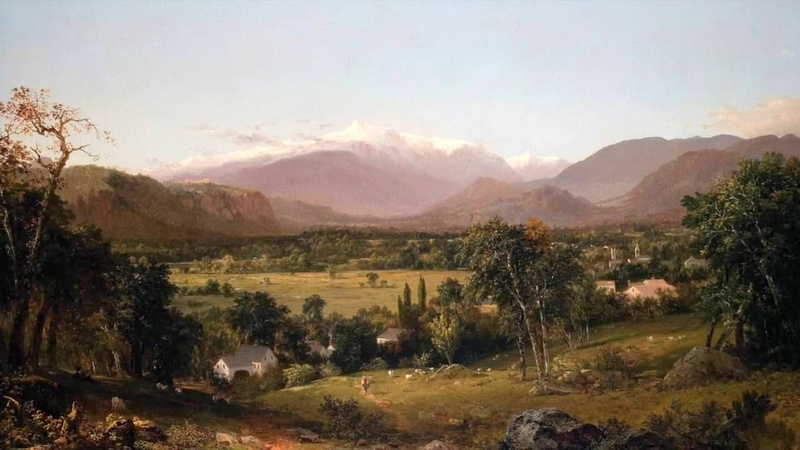 Title: Mount Washington from the Valley of Conway. Date: 1851. Materials: oil on canvas. Dimensions: 153.4 x 102.6 cm. Nr. : 1977.37. Source: https://i.vimeocdn.com/video/592496704.jpg?mw=1920&mh=1080&q=70. I have changed the light and contrast of the original photo.